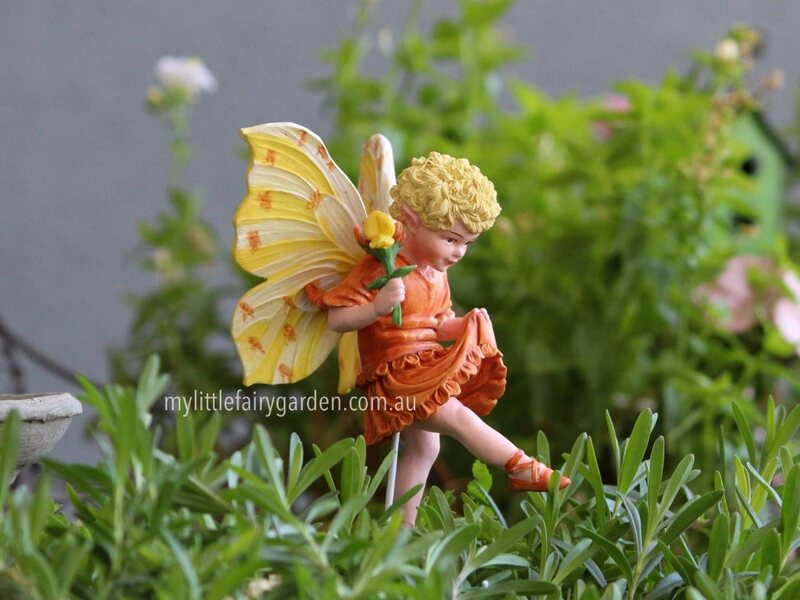 Beautifully hand painted Bird's-Foot Flower Fairy figurine. Optional gold string and wire pick included for securing in your display. Individually packaged in its own window display box that includes a biography of the artist, Cicely Mary Barker. Little Bird's-foot Trefoil performs at her very first ball. Grasshopppers chirp a lively tune and hoppetty-hop the fairy is off. Hop! Skip! Jump! She is up well past her bedtime, but she does not make one mistake. Concentrating hard, she prances round the fairy ring on her chubby, nimble legs to the country reel. And laugh to think of my comical names. Hoppety hop, with nimble legs! Some folks call me Bacon and Eggs! Tell me I'm Cuckoo's Stockings too! But to the grasshoppers' chirping loud. But children may call me what they choose.